As a person that was brought up in the Andes in Colombia, I learned to love fruits from a very early age, thanks to my father’s passion and tradition of planting fruit trees, and in some cases naming the trees after kids. For me, the most delicious of South American fruits are mango, maracuya (passion fruit) and lulo. Lulo in particular has inspired me and given so much pleasure in our kitchen at Sabor, that early this year we decided to plant around 2000 trees on our farm in Quinchia, in the coffee-growing region of Colombia, and I would like to share with you all you some facts about this delicious fruit. Lulo is an exclusively Andean which can be compared with gooseberry, kiwi and lime, and which has a floral aroma. 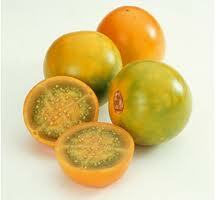 Its scientific name is Solanum quitoense and it comes from the Solanum genus of the Solanaceae family. The Solanum genus also includes 3 food crops of global importance: tomatoes, aubergines and potatoes. Lulo is indigenous to the tropical region of the , primarily(although it is now also grown in Central America). Its Colombian name ‘Lulo’ comes from the Quechua “ruru” which means fruit or egg. In Ecuador it is known as Naranjilla (little orange) for its acidity, round form and orange colour when fully ripe, although the pulp and juice remain green. The fruit’s tartness is reminiscent of a Seville orange, the species used for making marmalade. 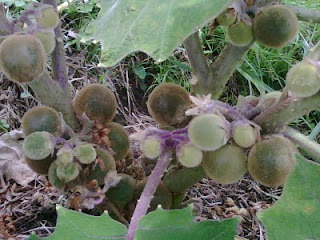 Lulo grows on a bush – it is a perennial which takes around 10-12 months to produce fruit. In Colombia it grows in warm climates between 800m and 2000m above sea level. Traditionally it is difficult to cultivate, as it is delicate and susceptible to disease and parasites, however new hybrids (not GM) are proving more fruitful. Traditional bushes are waist high, but our lulo de la selva grows 5-6 feet high, produces an abundance of fruit and retains a good flavour even after processing. 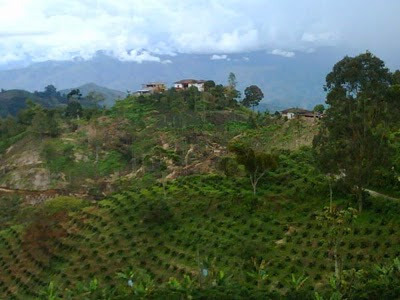 The lulo used in cocktails at Sabor comes from a co-operative of luleros in Belen de Umbria, Risaralda in the coffee belt of Colombia, we hope very soon it will come from our family farm!!!!!!!!. In South America the fruit is used widely in juices, milkshakes, jams and desserts. The juice has a floral aroma and is often blended with water (or milk) and sugar. The tartness can be subtly balanced with pressed apple or pear juice, with a dash of elderflower cordial. In order to introduce lulo to the British palate, as part of our mission to popularise Nuevo Latino cuisine, Sabor turned to Fruto del Espiritu as a supplier. As well as Sabor, Fruto del Espiritu supplies clients such as the Dorchester Bar, where the a lulo twist on a Mojito has led to the Mulito. Another favourite is the Lulo & Amaretto Sour (which we created at Sabor), building on the natural tartness of Lulo. Fruto del Espiritu has also introduced lulo to over 50 schools and youth clubs throughout the UK as part of a Healthy Eating & Enterprise programme, where students have to create their own cocktails. Fruto del Espiritu’s passion for the flavour Lulo is such that since we initially wrote this blog entry in 2010, the company has evolved to concentrate its efforts on promoting and bringing Lulo to the UK. The new venture called Berraquera, is bringing lots of the fruit and developing a juice blend with apples, but luckily for us they are leaving some lulo for us to cook and experiment with.